Welcome to the Fall Creek Greenway! It’s 7:30 on a Monday morning. I’m weaving in and out of traffic on Fall Creek Parkway en route to an 8 am meeting downtown and as usual, I’m running late. I attempt to squeeze through an intersection before the light turns red, unsuccessfully. I stomp on the brakes, nearly spilling coffee in my lap. I glance to my left and catch a glimpse of the newly remodeled leg of the Fall Creek Greenway where joggers give each other knowing smiles. 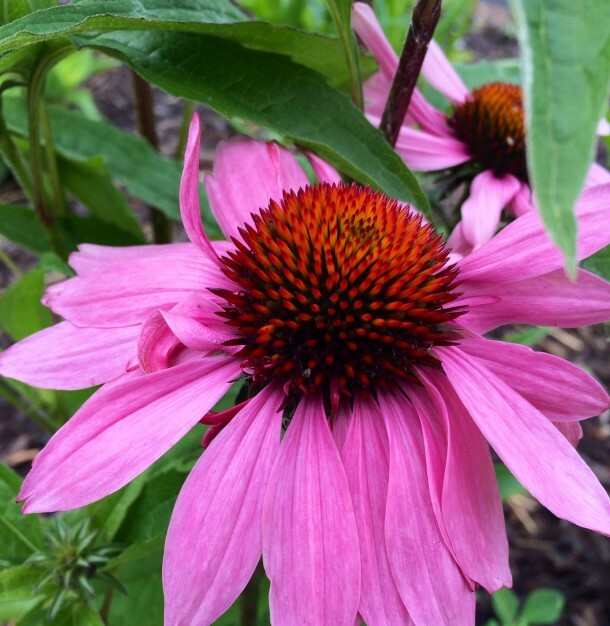 Butterflies and bees dance among the purple coneflowers and coreopsis blooms. Passing cyclists are clearly enjoying their commute more than those of us in cars. 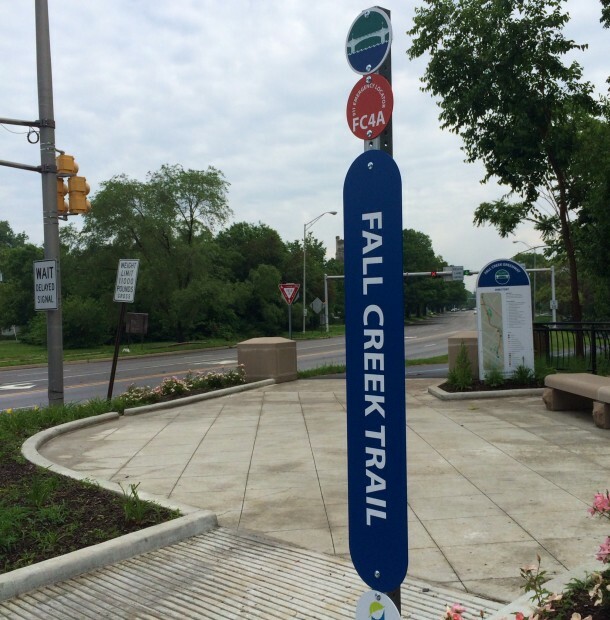 The Fall Creek Greenway is a 10.5 mile pedestrian trail that runs from the Skiles Test Nature Park trailhead to the Monon Rail Trail at 33rd Street before turning southwest and joining the picturesque bridges and walkways along Fall Creek Parkway winding toward downtown. It includes a 1.5 mile crushed limestone loop trail just south of 79th Street that is popular with walkers and joggers. The Greenway is easily accessible outside its trailheads with ample parking at various points along the corridor. 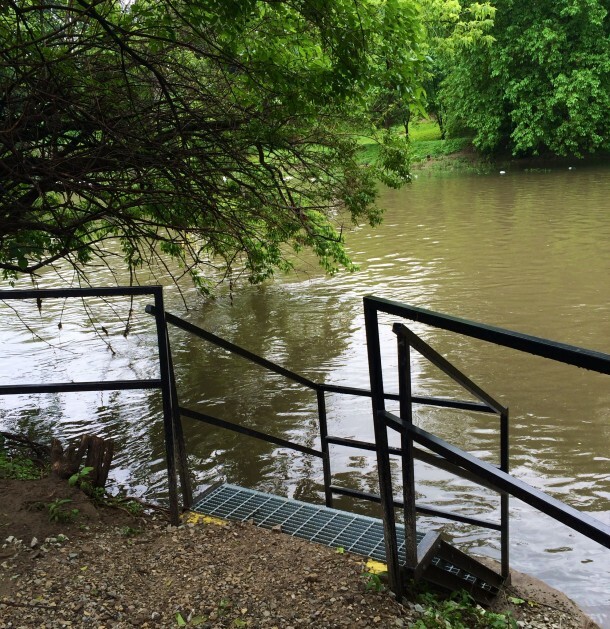 It also features three canoe launch ramps, comfortable benches, and communal checkerboards. The Greenway is part of George Edward Kessler’s Park and Boulevard Plan. 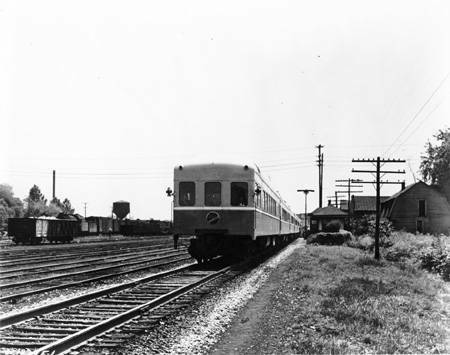 At the turn of the 20th century, the Circle City’s population had doubled in a mere twenty year time-span. The demand for public services, including parks, also grew. 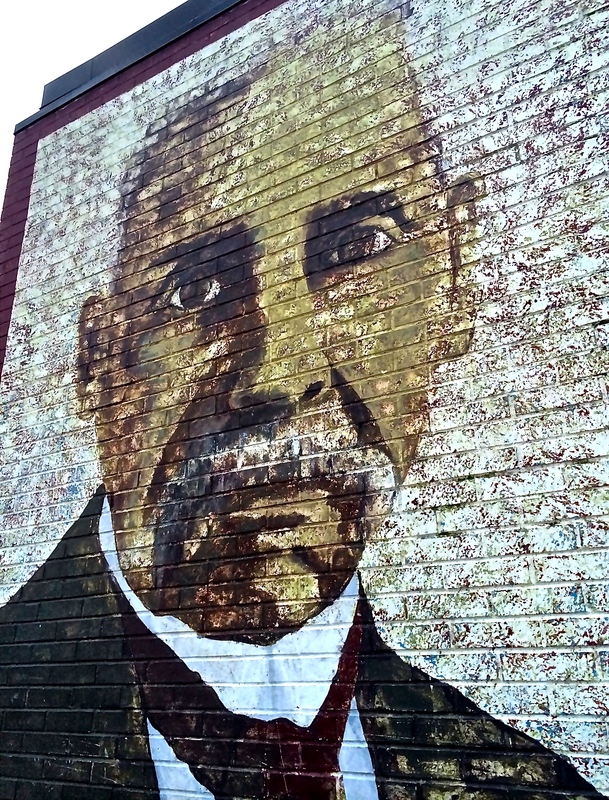 In 1908, George Kessler was hired to create a citywide system of parks. After a year of studying the city and its needs, his plan was revealed in 1909. 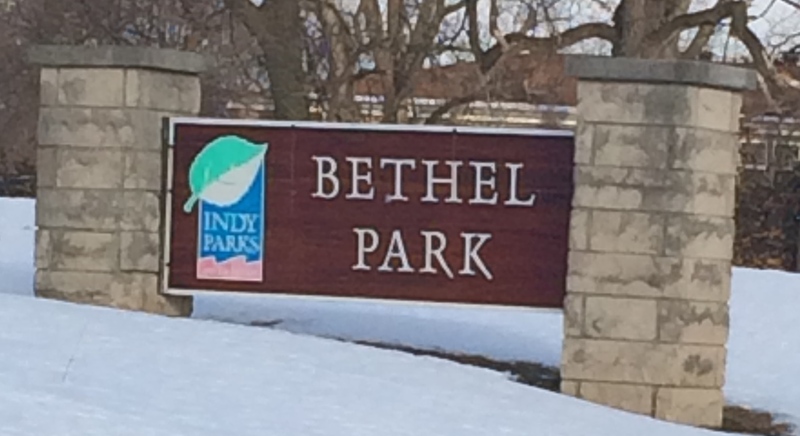 It included three, large regional parks and dozens of neighborhood parks which were connected by transportation and recreation corridors, known as parkways. Instead of fighting the natural landscape, Kessler showcased the beauty of Fall Creek and the White River by positioning these roads parallel to them. The parkways weren’t merely a way to travel to the edges of town–they were a destination unto themselves. 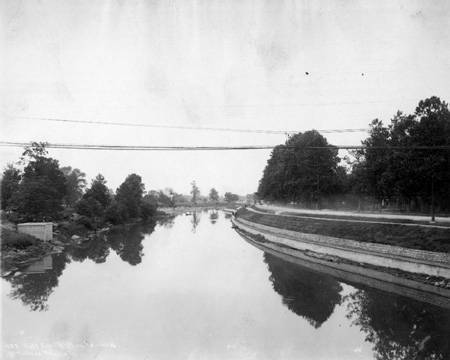 Indianapolis residents took Sunday afternoon pleasure drives along the parkways, stopping to wade in the adjacent cool waters or picnic beneath the trees. They were not only beautiful, but also practical, providing flood control, protecting waterways and the habitats of local wildlife, and preserving green space in the presence of urban growth. 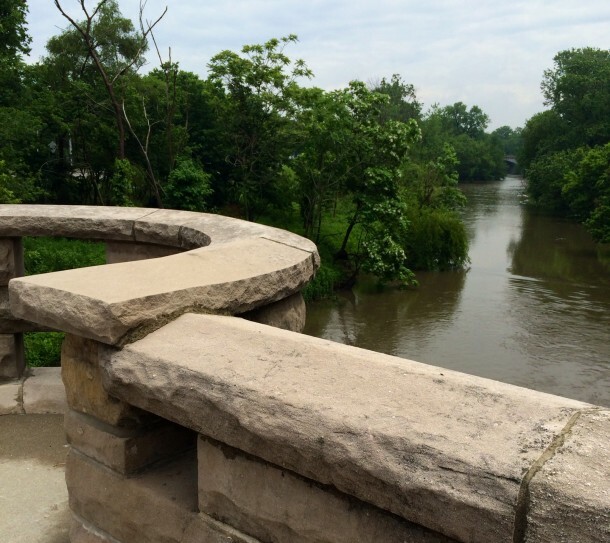 Kessler’s plan also called for the addition of the stone bridges and archways that grace the Fall Creek corridor. 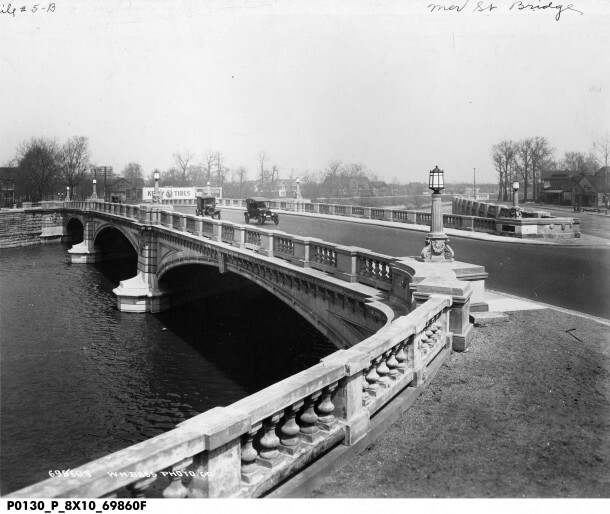 The Meridian Street Bridge near Fall Creek Parkway, 1920. Bass Photo Co Collection, Indiana Historical Society. In the 1990s many of the city’s parkways were transformed into greenways–pedestrian pathways that connect neighborhoods and parks. 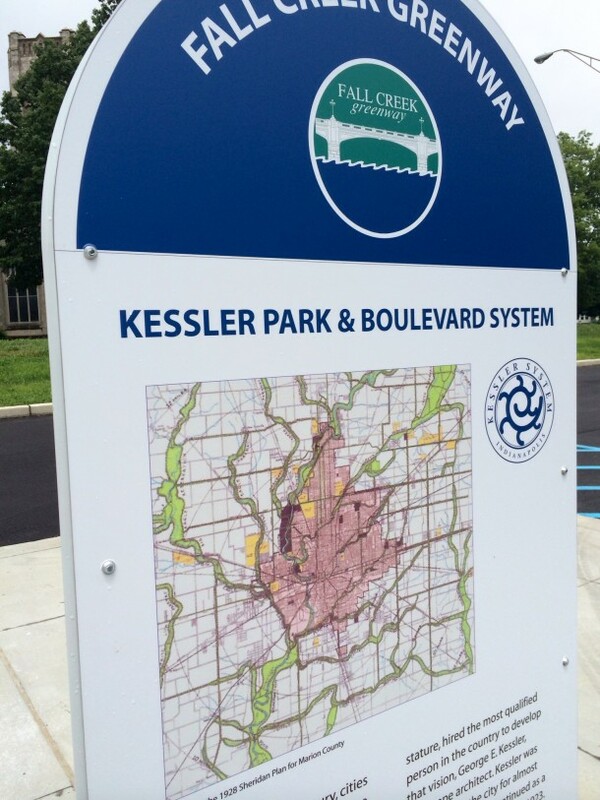 As you travel along the Fall Creek Greenway, the full beauty of Kessler’s plan is realized. Look northwest and you’ll be facing some of the busiest streets in the city. Turn toward the southeast, and you may take in picturesque views of Fall Creek, covered in a canopy of trees. Mallard Ducks and Great Blue Herons nest along the creek bank. Renovations are underway near Keystone Avenue that will allow pedestrians and cyclists to travel safely from the north side of Indianapolis to downtown. More than a century after its completion, George Edward Kessler’s Park and Boulevard system remains a beautiful and functional feature in our city’s landscape. 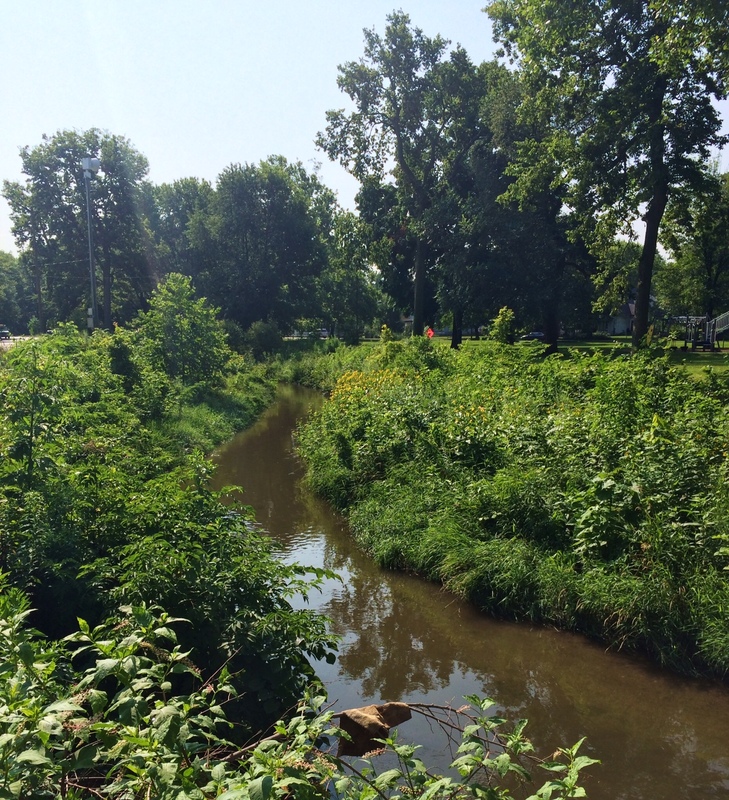 A trip along the Fall Creek Greenway is a history lesson! Plaques along the trail tell the history of the Kessler Park & Boulevard System and other important city events, like the Flood of 1913.